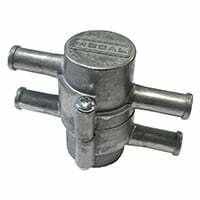 Looking for other Oil System items? A significant portion of the classic Mini engine's cooling is done by the oil, and highly-stressed engines develop more heat. 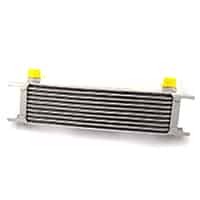 Any race Mini, or those regularly driven long distances, will benefit from the addition of an oil cooler. Keeping your cool can increase the longevity of your engine! Classic Minis operating in cold environments, and those that primarily do “short hops” could be in need of an oil thermostat. 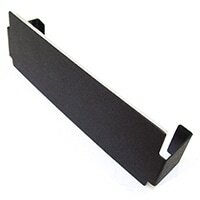 Oil, while providing for some of the engine's cooling, does not lubricate well below 165°F. 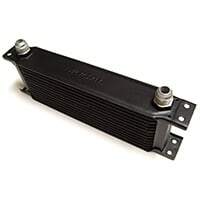 Minis require the best lubrication available; the “oilstat” allows oil to bypass the oil cooler below 165°F, speeding warm-up and keeping the oil at its optimum operating range. 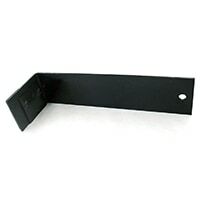 See SCO0004. 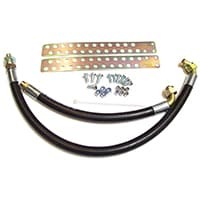 Complete kit offers all parts needed to do the job, including oil filter adapter plate with hose ports, special oil filter, hose, all fittings and hardware, plus a short 10-row cooler to fit the crowded MPi engine bay. This vintage accessory is a must for cool weather driving. 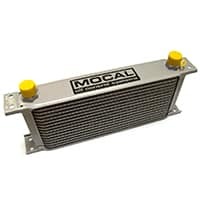 It simply snaps onto your oil cooler, helping maintain optimum operating temperature during cold weather. 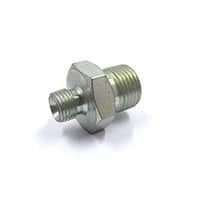 1/2" BSP fitting to fit British oil coolers. 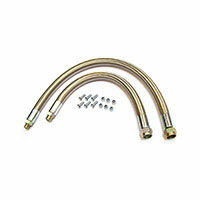 Has a 45° bend to better replicate the original hoses on the Mini Cooper S. Push-on barbed fitting. This kit is designed for Minis before the pre-engaged starter was fitted. 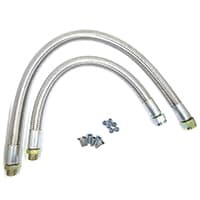 Hoses are specially made to have female BSP fittings. 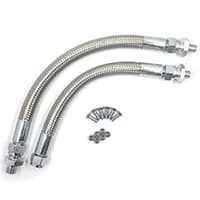 Stainless braided hose resists swelling and offers longest life. 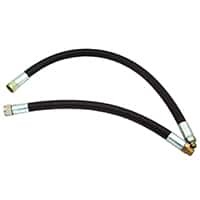 An extra-long set of oil cooler hoses for Clubman installations or race Minis where the cooler has been relocated. 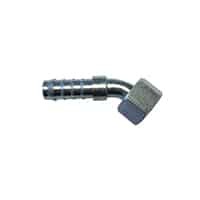 Stainless braided to prevent swelling under extreme conditions. 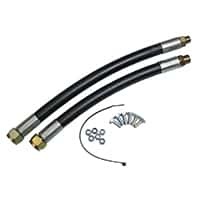 Hoses are 14"
This kit is designed for Minis before the pre-engaged starter was fitted. 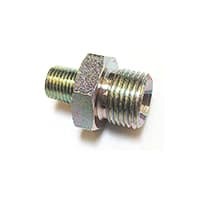 Our hoses are specially made to have female BSP fittings at both ends, and therefore are most like the original hoses for more accurate restoration. 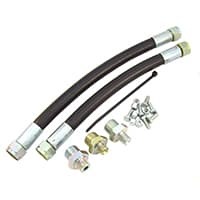 Set of rubber oil cooler hoses in extra length to suit Clubman Minis, but also readily adapted to race cars where the cooler has been relocated. 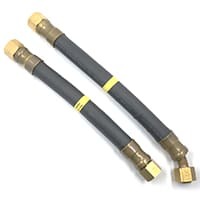 Hoses 14.5" and 24". 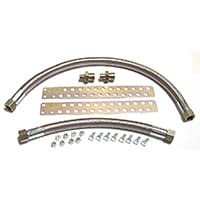 Our basic rubber oil cooler hose kit for a Mini Cooper S, or for cars that have had an oil cooler added to the center of the grille opening. 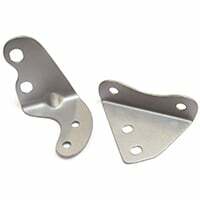 These L-shaped brackets are mounted upside-down to the front panel to form a shelf for the grille mounted oil cooler. Two required, sold each. 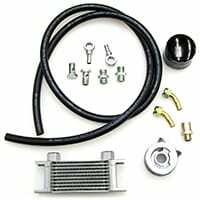 An oil cooler will help keep your engine running cooler. 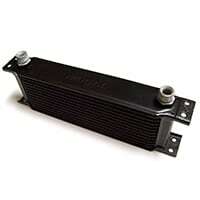 The 13-row cooler was stock on 1275 Cooper S cars and is recommended for street applications on any Mini. Experienced racers know the key to unimpeded oil flow is to have no restrictions at any point. 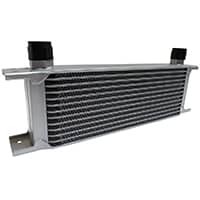 We offer this 13-row cooler with -10AN fittings for plumbing in large-diameter oil cooler hoses. 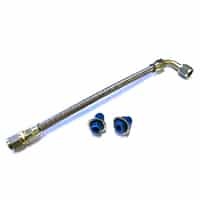 For a nicer engine bay, you may want to consider this stainless braided oil hose, which replaces the original rigid pipe.